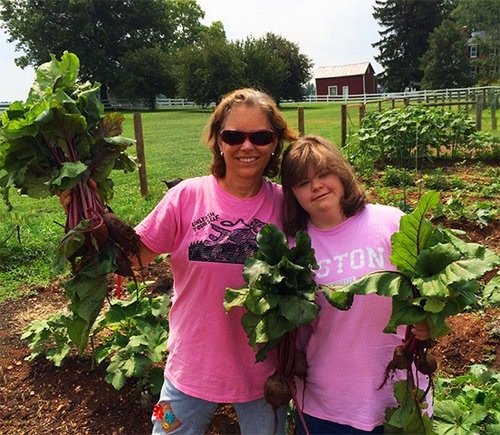 Legacy Farms is a 501(c)3 nonprofit organization dedicated to providing garden-based training and foundational work skills support for teens and adults with Autism Spectrum Disorder (ASD) and other developmental and social challenges. Our programs are as unique as the clients we serve. Our vision is to be a well-recognized, positive presence within our communities and a leading provider of agrarian based vocational training, employment services, and day support for individuals with autism. Our core behaviors will help guide our way. We commit to doing all we can to find competitive employment opportunities that fit the skills and strengths for all who desire to work. We commit to provide programs and services that guide individuals with Autism toward leading meaningful lives. We provide the opportunity to become a productive member of our community. We recognize change and respond constructively to each individual’s needs. We treat individuals with respect and compassion. We create a positive and accepting environment. We encourage altruism and service to our communities. Our programs are tailored to the learner, not the other way around. All persons have worth and dignity. Each person is unique and learns in their own way; it is our job to instruct in a way they understand and best absorb, to provide the right environment for them to learn and to allow the needed time it takes to do so. Everyone deserves a chance to do meaningful work in a competitive work environment. Positive community relations facilitate our mission. Good business practices are essential for success. Quality service means effective, accessible service. Fair human resource management promotes quality service. Beets grown for the local food bank, Loudoun Hunger Relief. To provide agrarian based workshops and programs that serve up to 30 participants each season and lead to the employment of at least one-third of those who apply. To inspire our students to get involved with the community and remain a part of the Legacy Farms family as volunteer farmers and teaching assistants. To encourage altruism by donating a portion of food grown to local food banks and others who serve the community. To raise awareness and advocate for the need of more full-time/part-time employment opportunities for people with developmental disabilities in Loudoun County.